Everyone knows Boracay. Everyone knows how wonderful it is. It is one of the world's best destinations for relaxation and we will surely never run out of exciting things to do in this place, anytime of the year! There's a lot of activities in different beaches in the Philippines. We're all aware of some common fun activities like island hopping, snorkeling, diving and more. But there are special and exciting things that Boracay can offer. Activities that will surely stay in your heart and surely worth sharing. Let's go hashtag Boracay 2015! Let's go hashtag It's more fun in Boracay! You can be one of the sea creatures. You can play with the fishes, feed them and walk with them. Put your helmets on, experience this awesome activity and have your pictures taken as well. What's the price? P350 only. This is one of the best activities in Boracay. 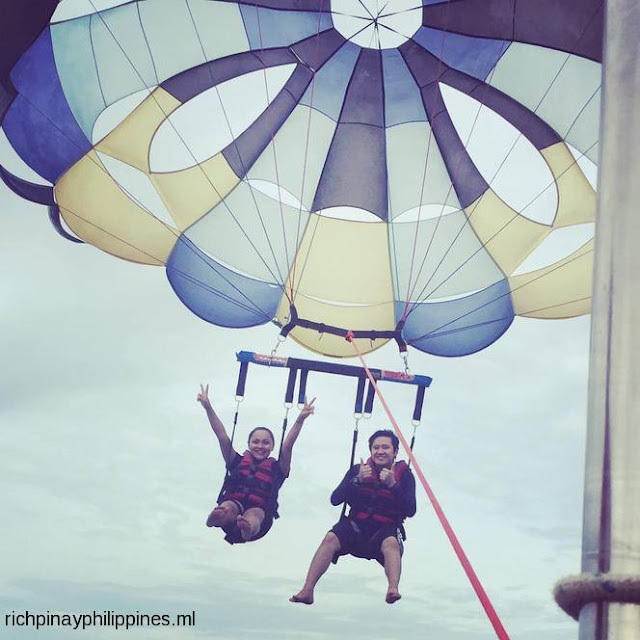 Parasailing is popular in different beaches in the Philippines, but the one in Boracay is one of a kind. Like any other parasailing, you will experience being strapped and whisked into the sky by a colorful parachute. There is a speedboat that will tow you and haul you up in the air. You might think this is a scary activity. But I am assuring you, your Boracay vacation isn't complete without this. It is very relaxing on top. You can feel the calm and wonderful see breeze. It is very peaceful on top with very great views that only Boracay can give. What I suggest, do it in White Beach where you can view the beautiful shoreline. If you will do it in Bolabog Beach, you can see the blue water from above. ATV means all-terrain vehicle,also known as a quad bike. ATV is a fun hobby, a great way to bond with friends and family. Whether you ride for fun or sport, ATV is a nice way to spend your free time. And yes, it is available in Boracay! 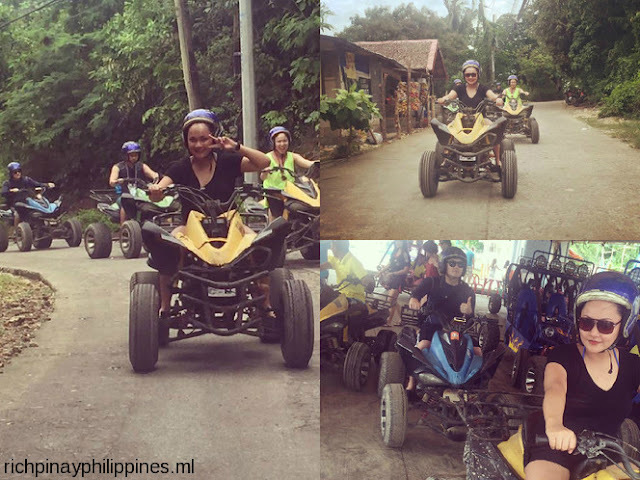 It will cost you P600.This is a very exciting activity especially for someone who loves driving and land activities. By the way, you'll get a free SkyCycle Ride as well. 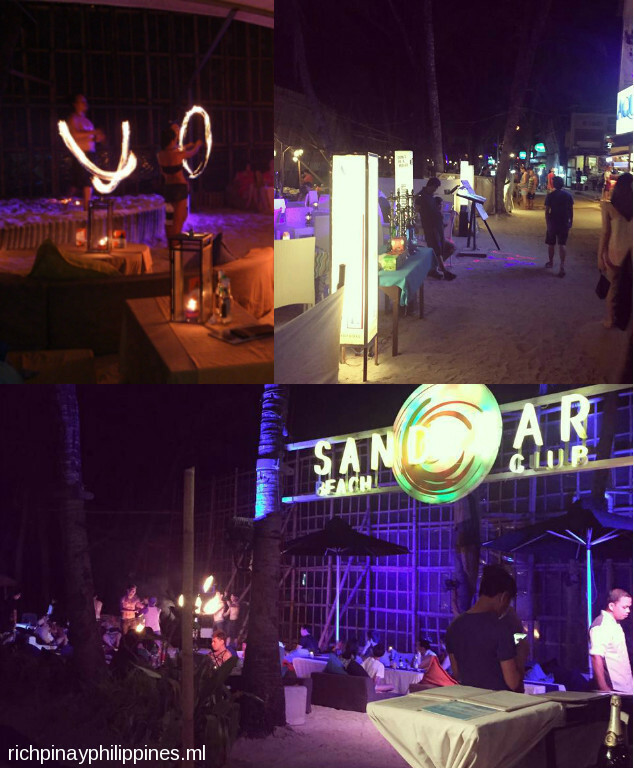 - Our Boracay is well known for its party atmosphere. And if you love crowded places and clubbing, this is the right place for you.